The paper review for Prelims Exam will be updated at each exams End. Here is the Complete analysis for 24th December 2016 Slot 3 ( 2:15 p.m to 3:15 p.m) No change in Pattern as compare to 1st and 2nd shift. Beginning our paper review of RBI Assistant Prelims Examination, the big surprise, the English Section had a Easy set of questions. The topic-wise breakdown of questions is as follows. The QA Section in RBI Assistant Prelims Examination had Easy to Moderate Level, with slightly calculative questions. The topic-wise breakdown of questions is as follows. The Reasoning Section had a Easy Level throughout the paper. The topic-wise breakdown of questions is as follows. 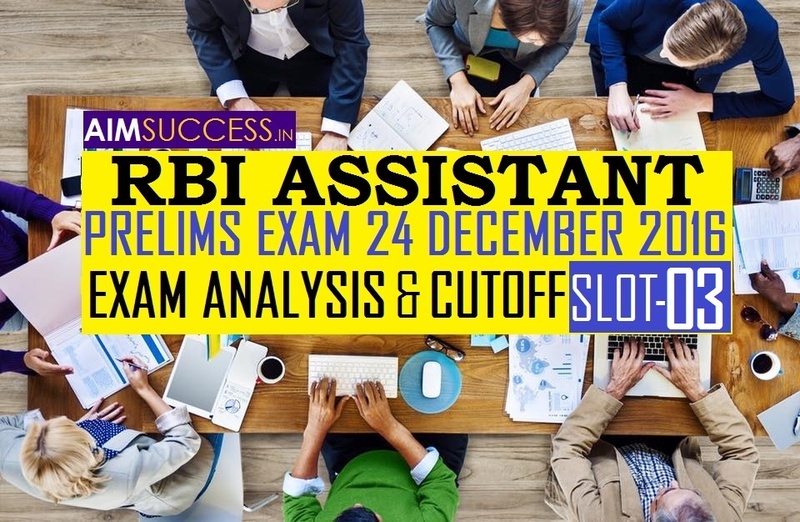 We will be back again with our RBI Assistant Exam Analysis for Prelims Paper 24th December 2016 slot 2 .Stay connected for more information regarding RBI Assistant Recruitment 2016.